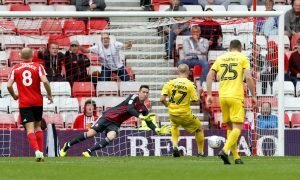 West Ham demand Sunderland pay £15 million for their striker | The Transfer Tavern | Where football transfer rumours fly or die! Sunderland fans in the Football Transfer Tavern are unsure whether or not they should fork out £15 million for West Ham’s forward. According to the Northern Echo, the Black Cats are eyeing a move for Diafra Sakho, though the Irons are not willing to part ways with the forward unless they are offered £15 million for his services. Sam Allardyce is reportedly looking to add more fire power to his squad after admitting at the end of the season they relied too much on Jermaine Defoe, who was perhaps the main reason they kept their top flight status . 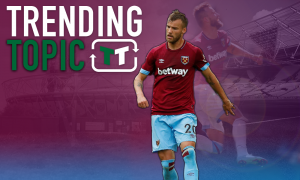 He is understood to be hoping to bring the Senegalese in for less for than the quoted price, having signed him while at Upton Park two seasons for just £4m. 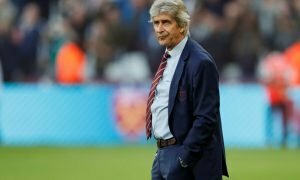 Although he is free to leave the club as they plot to sign marquee names ahead of their move to the Olympic Stadium, they are looking to generate money, meaning he will not be sold cheaply. Sunderland fans. Do you think Diafra Sakho would be a good signing? If so how much would you buy him for? Let us know your thoughts below.